West Drip Farm self catering holiday accommodation near Stirling, Scotland, is ideally situated for visiting many of Scotland's famous whisky distilleries. Deanston Distillery Deanston is our nearest distillery, only 5 minutes drive from, Tigh Mor. It started life as a cotton mill before being transformed into a distillery in 1966 where, to this day, it produces an outstanding Highland single malt Whisky which is handmade, un-chillfiltered, natural colour and bottled at a strength of 46.3%. It also houses a lovely little gift shop and one of our personal favourite local cafes! See their website to book a distillery tour. Glengoyne Distillery Dumgoyne, Near Killearn. The Famous Grouse Enjoy the best Scottish welcome at The Famous Grouse Experience. 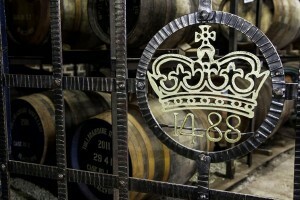 Based at Scotland’s oldest distillery, Glenturret, in Crieff.